I’ve tasted some whiskys from Swabia, but until now I can say that I was truly inspired by only a very few. But I decided to give it another go and went with three friends to a tasting on 28 November organised by Stuttgart Marketing GmbH. The Swabian whisky tasting was held in the very exclusive and cosy Davidoff Lounge at the Steigenberger Graf Zeppelin, opposite Stuttgart’s main railway station. We had been advised that Hans Gerhard Fink, an engineer by trade, would be proffering a range of excellent Swabian whiskys while sharing some facts worth knowing about the spirit. Unfortunately there was a catch, as Mr Fink used the tasting solely to market his own whiskys, four of which he had brought for a tasting and then some selling. It should be noted, by the way, that each participant had paid €78 for the evening. There’s no question that Fink shared some interesting facts in his presentation, but at least half of the evening was spent singing the praises of his own whiskys, his quality standards and how he does everything better than his competitors. Unfortunately, most of the time it was also a monologue that was not really designed to get the participants involved in the tasting. For any questions not directly related to his whiskys, there were usually very short answers and once even I just got a shrug. I can’t whether this was meant to say “I don’t know” or “I don’t care”, but I have to assume that both were meant. We tasted the 3-year-old single malts by Senft and Brigantia, as well as a 6-year-old Finch. In addition, Mr Fink proffered us his 5-year-old Swabian Highland Whisky Classic, the 6-year-old Distillers Edition 2014, and the Barrel Proof 2014 (no age given). The whiskys were to some extent in order and one or two of them could even be a good whisky if allowed to age for a few more years in the barrels. Our tasting notes and a few more points of criticism can be found on the Deutschen Tasteup website. 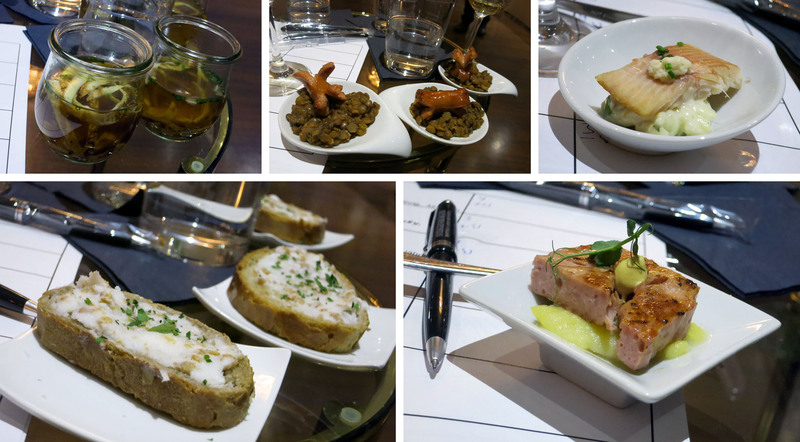 The price of the event did include small, delicious Swabian delicacies served at irregular intervals between tastings. The tasting menu include Flädlesuppe (sliced crepes in a broth), lentils with fried hotdogs, a meatloaf with potato salad, a slice of bread smeared with lard, and smoked trout with horseradish. 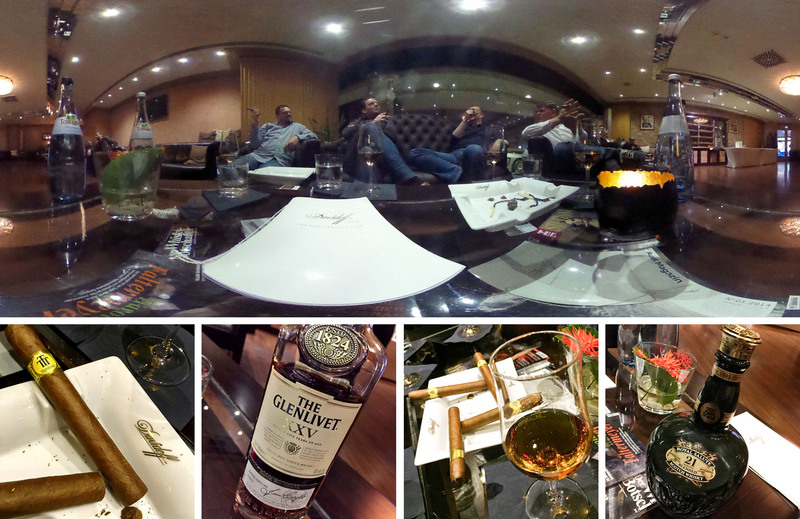 After barely two hours, the event was over, which led Christian, Jens, Wolfram and I to enjoy a cigar and a scotch. Unfortunately, there were once again problems with the service which we were able to overcome only with difficulty. Finally, we enjoyed a 25-year-old Glenlivet XXV with a Trinidad Coloniales, a perfect combination. The subsequent 21-year-old Royal Salute in the Emerald Edition was no longer absolutely necessary, but we were in the mood. Unfortunately, I have to say that the event proved to be much too expensive for what we received. The idea of charging €78 for a self-promotional presentation under the auspices of city marketing was, in my opinion, an utter rip-off. The exclusive location changed my view only slightly. We’ll be all too glad to show you how this can be done better, because all four of us have plenty of experience in such matters. Despite the bad taste left by the event, we had a very pleasant evening and a lot of fun getting together in Stuttgart. I hope the upcoming (whisky) events in our calendars are even better. You’ll find the 360° panoramas of the evening in the Davidoff-Lounge here, here and here.